The Draft registration was an act called the “Selective Service Act (Selective Draft Act),” was enacted on May 18, 1917. That act authorized the Federal Government to create a National Army. Prior to WWI, the United States had a small military force compared to the European countries. The Selected Service Draft Act required all males age 21 to 30 to register for military service. The War Department requested Congress to amend the age requirement and by September of 1918, the age was extended to all men from 18 to 45 years of age. For African Americans who fell within this age group, the draft cards include genealogical information. Even better, if the individual served in World War I, their military records will provide their descendants a window into their lives. Many of the older African Americans born in the 1870s and prior to 1900 were probably the first or second generation from slavery. Their pension records might be the only information about their former enslaved parents. These records are a gold mine for their descendants. Displayed below are the African American Alexandrians with the “B” surnames. 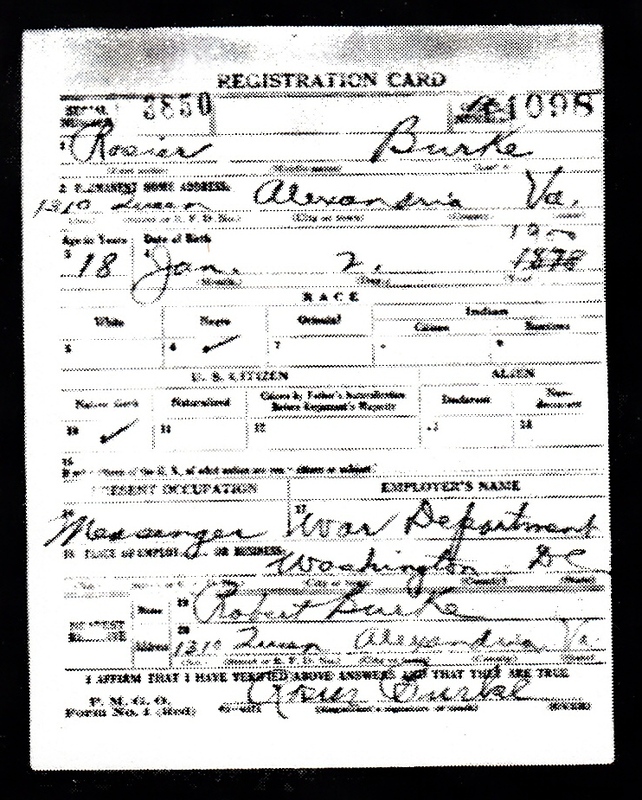 This entry was posted in Black People of Alexandria and tagged Alexandria Black WWI, Military Registration Card. Bookmark the permalink.